We didn't really have any super, exciting plans to ring in the new year. Just pizza and a movie. Mark even ordered a few slices of my absolute favorite pizza--pineapple! 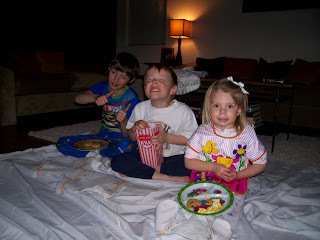 We rented Ratatouille and even let the kids stay up past their bedtime. Mullin tried to make it to midnight with Daddy, but I am told he fell asleep before 2008. We did have a couple of "party" invitations from lovely family and friends, but what can I say, I guess we're fuddy duddies! A nice, quiet, relaxing evening is what we desired. Plus, New Year's Eve is one of my least favorite holidays. The other is July 4th. I dislike them entirely for selfish reasons--I HATE staying up late, I HATE hearing fireworks go off late at night, and I HATE spending the next day exhausted from not getting a good night's sleep. No, I didn't stay up until midnight. I believe I have only done that twice on New Year's Eve since I have been married. Once was to see the lighting of the 3 crosses at Bellevue Baptist Church in 1999 . I am glad I was there to witness that amazing sight, but it was a bit difficult with a 4 month old!! Oh my, and that was the time when everyone thought the entire world was going to lose electricity or something due to the date changing from 1999 to 2000. Mark and I made a few preparations but nothing major. I think I even filled the bathtub with water before we left that night. What funny memories! Here we are having a smashing good time on New Year's Eve! Really it was fun. Good movie, good times. Pin It Now! We actually had to bundle up about a week ago when we all decided to take a walk around our block to look at Christmas lights. 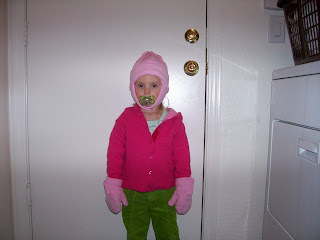 I just couldn't resist taking yet another picture of this cute thing before we strolled through the neighborhood--look, her passy even matches her pants! :) It was a lot of fun until we came home. Shiloh threw a horrible fit b/c she did not want to come in. We may not be snowed in or anything, but it has been pleasantly cool here. The night temps have been freezing, and we have had to turn the heat on so Shiloh's room doesn't turn into an igloo. (Heat only comes on when it gets down to 67--I don't want to roast to death) I love being able to actually use covers at night and wear long sleeves during the day. The leaves on the trees are finally changing colors here. It is still weird to see it happening now instead of in November. Better late than never! Pin It Now! Well, for me it's the perfect number to LOSE!! I was pleasantly surprised with a few gift cards to a couple of clothing stores this Christmas!! My closet desperately needs an update, but unfortunately I have gone over my weight limit. :( I know by the world's standards, I would not fall in the overweight category or anything, but I don't feel good. I wish I could tell the extra fat cells to please visit my calves and bony knees or even my feet for goodness' sake! But they have a mind of their own,and for some reason they all like to settle in my middle. Yes, it is the ugly frog thing!! So anyway, I have told myself that I cannot spend my gift cards until I have lost the 7 pounds. Yikes. What an incentive!! It is oatmeal for breakfast, fruit and nuts for lunch, and a portion-controlled dinner. So far I have done a very good job. I didn't get whip on my Venti Green Tea Frappucino yesterday, and I bought the Tear N Share M&M bag instead of the FAMILY size! Yea me! Well, ya gotta start somewhere. Oh, my how am I going to resist all of those pretty Valentine candies already beginning to line the store shelves?? I will try and post Christmas pics soon. Been busy putting away all of the decorations. Only thing left is the Memory Tree for hubs to shove in the box. Oh, and the outside lights. Pin It Now! Well, it seems that one of my comments on this post has caused quite a stir. Truly there was no jiggery-pokery here to incite a bloggy cat fight. It was purely written in a joking manner. Carrie is one of those real-life friends of mine who hopefully sensed the fact that I was for the most part, kidding. Of course I wanted to win--that is why I entered. If I didn't win, then it was my opinion that Carrie should have. I honestly thought her picture captured pure "Holiday Cheer" at its best. Also, one of my very best friends is a HUGE cat-lover, so I never meant ill will towards anyone or their cat. Anonymous believes I need a slice of Humble Pie for my big head, so I offer my sincerest apology to Amber and to anyone else whom I have offended over my comment. Pin It Now! To view the 5 worst Christmas songs of all time go here. Enjoy!!! Pin It Now! This is the kind of world we live in. I don't mind calling myself an alien at all. Scroll down a couple of posts to see which photo I entered, then go and vote! 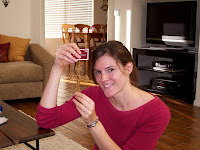 Write From Karen is hosting a Holiday Cheer photo contest! Stop by her blog between 5pm central time on Dec. 14-8pm central time on Dec. 17 to vote for me!!!! 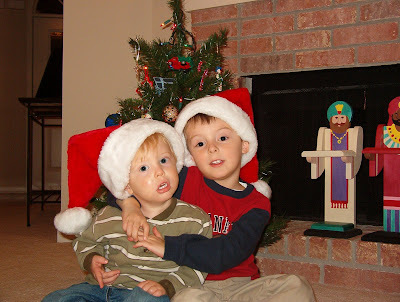 Choosing from the gazillions of Christmas photos we have was tough, but I finally settled on this one of my 2 precious boys taken back in 2005. I had several really cute ones picked out, especially one of my sweet, little girl, but this one just felt right for the moment. Now, not then, it makes me laugh every time I look at it. Stockings are hung by the fire, Christmas tree is all aglow, gifts galore are piled beneath the tree--it truly is beginning to look a lot like Christmas, and this is the best they can give me. It is what I call one of those "Mom moments". 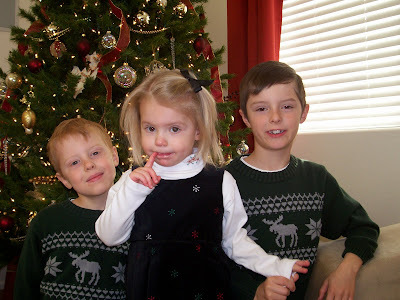 All because I made them put on their Christmasy looking sweaters and pose together for the camera. By the looks of it, you would have thought the Grinch had paid us a visit! Yes, Mama was gettin' frustrated! In a matter of moments it went from Holiday Cheer to Scrooge is Here. Again, I look at this picture, and a huge smile spreads across my face. It's one of those moments that I will never forget as long as I am here to celebrate Christmas! Pin It Now! 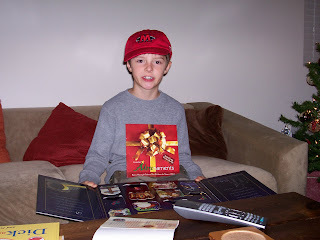 Christmas 2003--First Christmas to have a digital camera. Look at how tiny our Memory tree is!! Now our Memory tree is bursting full at 7 and 1/2 ft. Have I mentioned how much we adore ornaments?? I love gazing at the tree and soaking up all of the memories! Pin It Now! Scroll down to see new posts. I will leave this one at the top for a while. 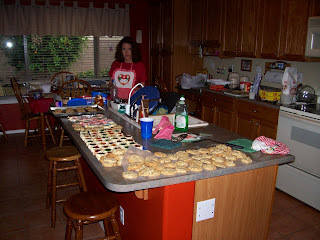 It is almost Christmas baking time again! Although spending countless hours in the kitchen isn't exactly my favorite thing to do, I absolutely love baking up lots of holiday goodies. There are a few favorites that stay on the menu no matter what, but I try to make a few new things, too. So, I am asking all of you to submit your very favorite Christmas recipe by either leaving it in my comments section or by using Mr. Linky at the end of this post. 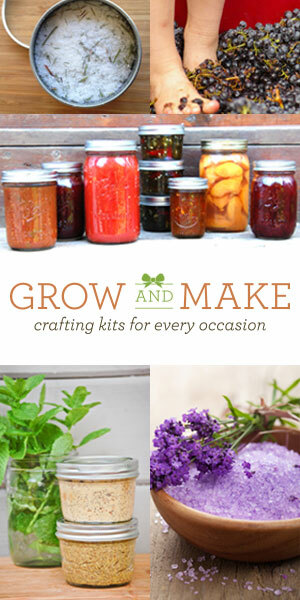 I am really looking forward to getting some new recipes to try, so don't let me down!! 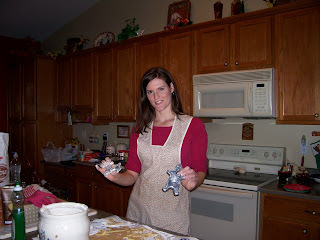 Every Christmas, my siblings and I would look forward to decorating my mom's sugar cookie cut outs. I now know from experience that making these cookies is no easy task, but I am glad she put forth the effort year after year. It was a tradition passed down from her mom, and ever since I have been on my own, I have made these cookies every December as well. I even use the very same cookie cutters my grandmother used. Lots of great memories! Now my kids look forward to making these very same cookies. Frost and decorate. Taste best with home made frosting, not store bought. We just use powdered sugar,butter, milk and vanilla. 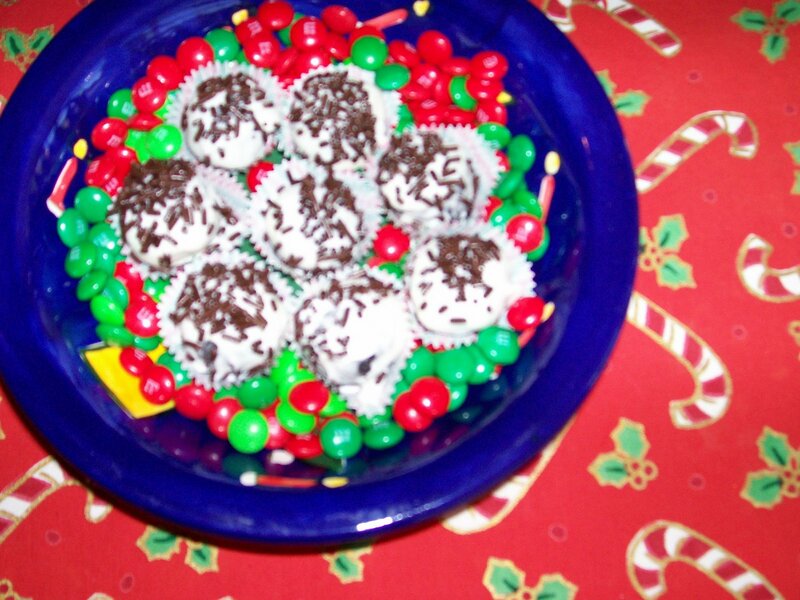 Several years ago a friend gave me a Christmas goodie bag filled with Oreo Cookie Balls. I was totally hooked just after one bite! They are so delicious, and I have made them every year since then. Everyone who tastes these delectable truffles just has to have the recipe--oh, and it's soooo easy! (The photo in upper left corner shows the Oreo Cookie Balls happily resting in a bowl of Christmas M&Ms) I bet Paula Deen's mouth would even say, "WOW!" to this recipe. Mix crushed cookies and softened cream cheese to form a stiff dough. Form into balls. With a fork, dip oreo balls into melted, white candy coating covering completely. Place on waxed paper and sprinkle with chocolate jimmies. Let dry at room temp. 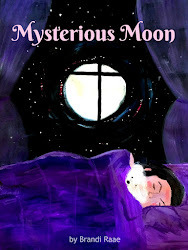 Another favorite I have enjoyed since I was a little girl! This is the best fudge ever!! Heat sugar, butter and evap. milk to full rolling boil in heavy saucepan on med. Heat, stirring constantly. Boil on med. Heat until candy thermometer reaches 234 degrees, stirring constantly to prevent scorching, about 4 minutes. Remove from heat. Stir in chocolate and marshmallow crème until melted, stir in vanilla and walnuts. Now it is time for you to send me your yummy Christmas recipes. If you're not familiar with using Mr. Linky, here's how it works. Post your recipe on your own blog. After that click on the time at the end of your post to get the exact URL of your recipe post. Copy that URL by right clicking. 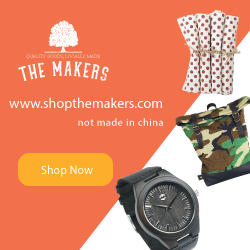 Come back to my blog, type in your name and include the name of your recipe, then type your URL in the correct box by right clicking your mouse and choosing paste. Then press enter. That should do it! Thanks!! This feature will enable lots of folks to read and hopefully make your recipe!! What kid doesn't love to count down the days until Christmas? I know I did and actually still do! 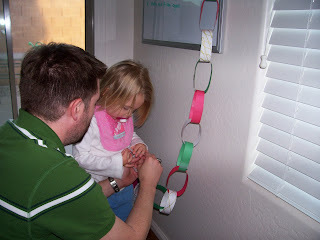 Ever since I was a wee girl, I have made a Christmas chain. Every night before bed I would tear one chain off until Christmas Eve when there was only one left. I have now passed this tradition on to my kids. This year I had to add an extra color for Shiloh. It helps us all keep track of whose turn it is to tear off the chain each night! 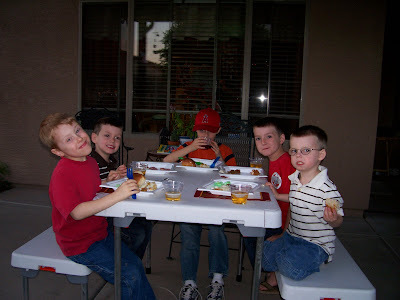 About 5 or 6 years ago we started creating lasting memories with Adorenaments from Family Life. The set includes 12 ornaments with each one containing a story about a distinctive name of Jesus. 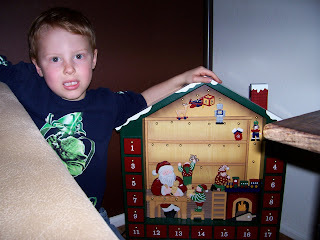 This year, a very generous lady at Mark's work gave our children a beautifully made Advent Calendar. So, now we can count down the days in 3 different ways! Pin It Now! So, what do I do when my cupboards are as bare as Old Mother Hubbard's? Well actually this was me yesterday. 3:00 pm rolled around, and I opened my pantry door. Hmm, was about all I could manage to say. Smoked Vienna Sausage and Pork N Beans didn't sound too appetizing, so I went to the fridge, which was almost as bare as my cupboard. Well, I decided dinner would have to be the leftover box of chicken nuggets, frozen peas and butter noodles. That is until my thoughtful husband called and asked if it would be okay if he brought home Kentucky Fried Chicken. I am sure you can guess my answer!! Well, I better get on with this b/c I have to go to the store in just a bit with all 3 kids! Yippee! Just like Shannon over at Rocks in my Dryer, Tomato Soup and grilled cheese are great stand- bys for me. I also make eggs and home made pancakes when the pickings are slim. My kids think that is a treat, anyway. If I have tortillas, cheese and salsa on hand, then making quick burritos will fill our tummies until I can get to the grocery store. Head on over here to get more tips on what to fix when your in a pinch! 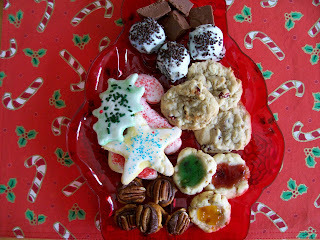 **I am looking for new Christmas recipes to make this month, so please stop by over here to participate in my Christmas Recipe Exchange. Thanks!! Pin It Now! Heather is having her monthly candle drawing again!! The winner will be able to choose one of these wonderful scents! HOT CINNAMON ROLLS ~ Warming aroma of gooey iced cinnamon rolls. WHITE RAIN ~ Pure, clean fragrance reminiscent of long-awaited morning rain. WARM MAPLE SUGAR ~ Rich brown sugar swirled with delectable golden maple syrup and pure vanilla cream. COOKIES FOR SANTA ~ Warm butter cream cookies iced with powdered sugar frosting and holiday sprinkles. VANILLA SPICE ~ Exotic vanilla beans wrapped in fresh ground spices. 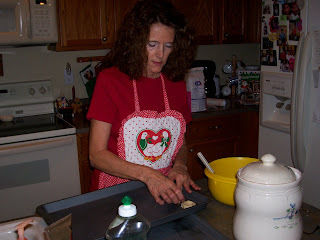 MOM'S APPLE PIE ~ Recipe of a variety of apples and cinnamon with a touch of nutmeg. Much, much too busy for you!" This is the Veggie Tales song that has been playing over and over in my mind like a broken record since Thanksgiving! (I have made the assumption that all of my readers know what a record is.) I have been busy decking our halls with Christmas decor, getting my kids back in home school mode after a 4 day weekend, wrapping and packing up presents that need to be mailed to what seems like a galaxy far, far away, cleaning and scrubbing, planning for Friday dinner guests, updating addresses for Christmas card mail outs, gathering up recipes for a baking day with my mom and sister, etc, etc... All good and fun things, well most of them anyway, but still all things taking up every precious moment of my time. Blog land had to be put on the back burner. So glad to finally have all of our Christmas decorations up. 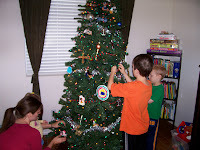 The kids had a fun time trimming the Memory Tree. I love Christmas ornaments! Good thing, too, because several of our beloved family members give us each new ornaments every year! We all anxiously anticipate what they will be and can't wait to find a spot for them on the tree. Mark and I also like to exchange ornaments with ourselves and the kids. 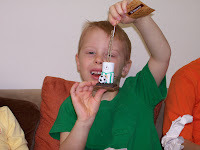 From now on we will open up our ornaments from each other right before we decorate the tree,instead of waiting until Christmas, so we can enjoy them all month long! 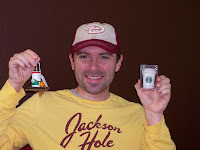 This year I gave Mark a Smore basketball player and a Starbucks mug. He gave me a jeweled cross. 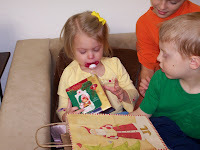 Mullin got a Smore baseball player, Lincoln a Smore soccer player, and Shiloh got three since she hardly has any ornaments to her name yet--Wish Bear, Strawberry Shortcake, and a Victorian baby buggy. We all LOVE the ornament tradition!!! 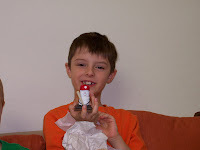 For a more thorough post on our family's Christmas decorating weekend, see my husband's post. Pin It Now! 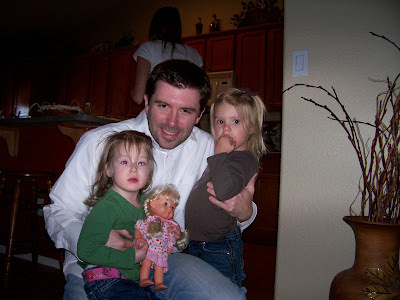 Mark with Livi and Shiloh. The only girls! 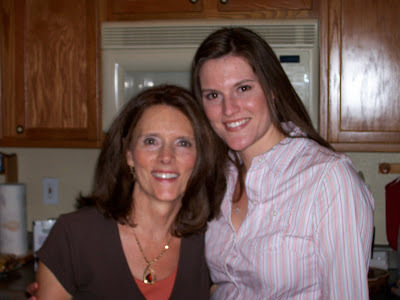 My mom and me. Thanksgiving was at her house. 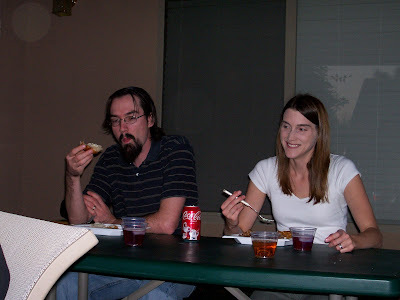 My sister and her husband enjoying turkey and cider. 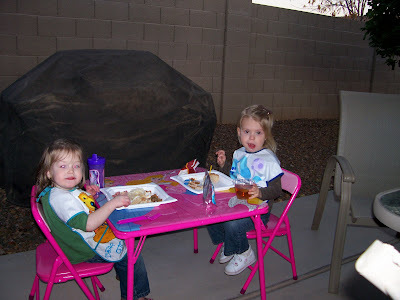 The 2 girls have their very own princess table! Shiloh loved it and couldn't wait to show her cousin! 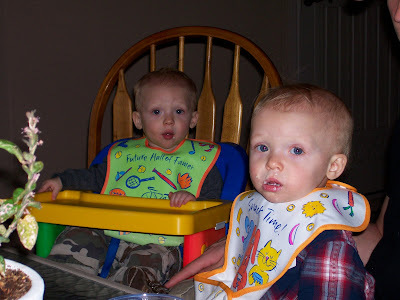 And here are those adorable twin faces!! They are both walking around and getting into everything! 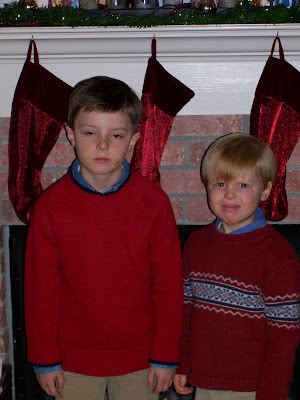 Though they are identical, Kenny (right) is always full of smiles and Ryan is a bit more subdued.